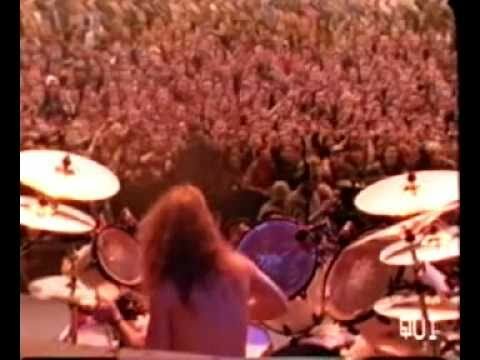 What are the best opening acts you've ever seen? These are the bands and musicians that blew you away, making you a fan for life, even though they were only the opening act for some bigger, more well-known headliner. Almost everyone who's been to tons of concerts has seen one or two acts that truly stood out (in some cases, eclipsing the headline act). Whether it's Kings of Leon (who opened, notably, for U2 several years ago) or the Foo Fighters ( who opened for the Red Hot Chili Peppers), this list includes them all. Or it will: Add the opening acts that you think were the best you've ever seen, so all of us can go "Huh, really? Didn't know they were ever an opener..."
Some of the biggest names in music today have, at one time or another, opened for someone else. Curious? Check out this list of the strangest opening act bookings in music history. See? Even Prince made it: He opened, just once, for The Rolling Stones. Jimi Hendrix opened for The Monkees?! Makes you want to pay closer attention and arrive earlier for that next big concert, doesn't it? Exactly. Because while headline acts don't ever want to be bested by their openers, they also want the opening acts to warm the audience up properly and get them into a festive mood. Hopefully everyone will contribute some of their favorite opening concert acts to this list. Don't be shy: Jump on in! This list includes all music -- rock, folk, country, R&B, rap, you name it. Opened for Black Sabbath in Pittsburgh. Roth spent more energy jumping across the stage than he did on singing. Opened the World Series of Rock in Cleveland. Late addition to the bill. Possibly their first U.S. Performance. Added to the bill with Scorpions and Sammy Hagar at the fairgrounds coliseum in Columbus. Also opened multiple times for Rush.